Looking for that final detail on your custom monster? Check out these KC roll bar light covers! 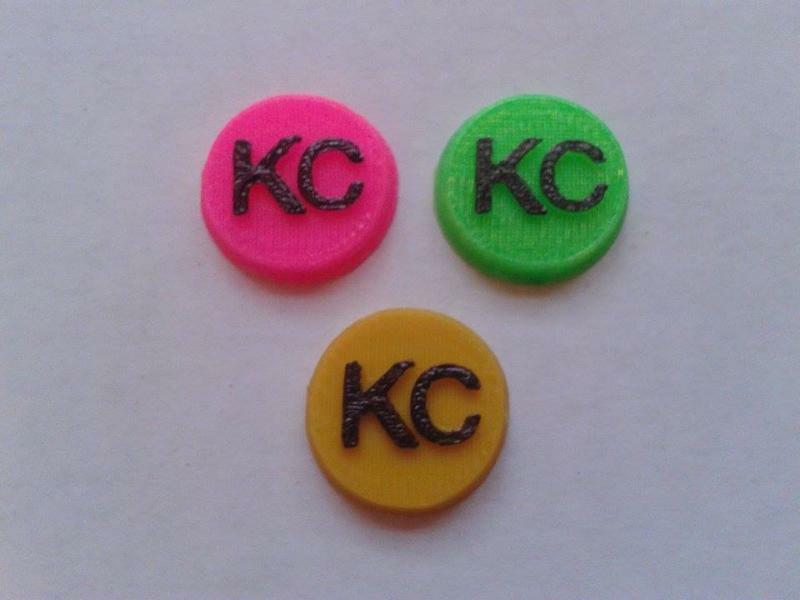 Embossed with the KC logo, these covers are sold in sets of 5 with mounting hardware in your choice of multiple colors. 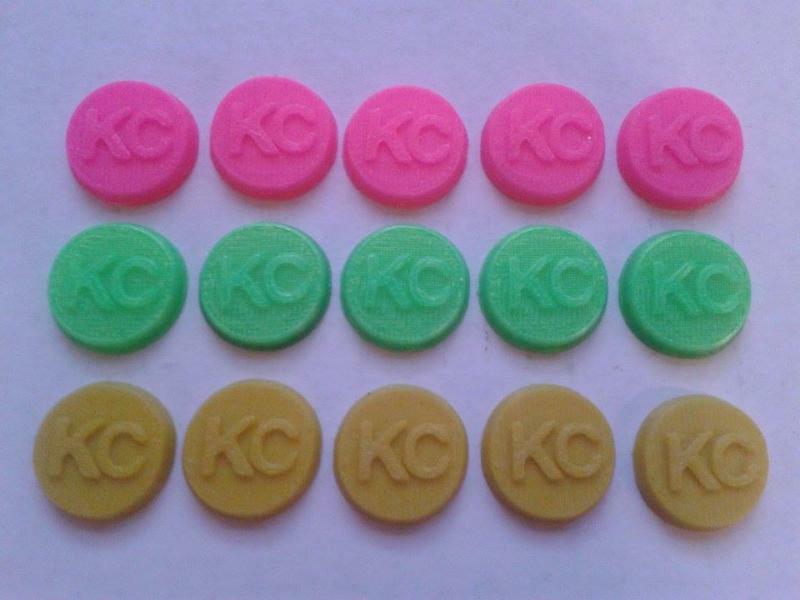 You can even further detail/paint the KC logo to match the real lights! Note: Painted KC logo shown for illustration only. You will receive covers in your choice of either fl. green, fl. pink, or yellow. We recommend installing the setscrew into the roll bar light, then screwing the lightcover on to that. This product was added to our catalog on 07/16/2014.